Courtesy of Texas Premier Realty, Hoi Ta. Motivated Sellers! Lightly lived in Energy-Efficient home,this beautiful single story offers 4 beds and 2 baths, features 10′ high vaulted ceilings in family rm+main floor formal dining rm off the entry & spacious Master Suite with bay window. Family friendly entertainment at Sea World & Fiesta Texas nearby & shopping/dining at Alamo Ranch. Energy efficient features, Spray foam insulation, LowE windows which will help you live a healthier lifestyle. Please, send me more information on this property: MLS# 1357920 – $320,000 – 7010 Ravensdale, San Antonio, TX 78250. 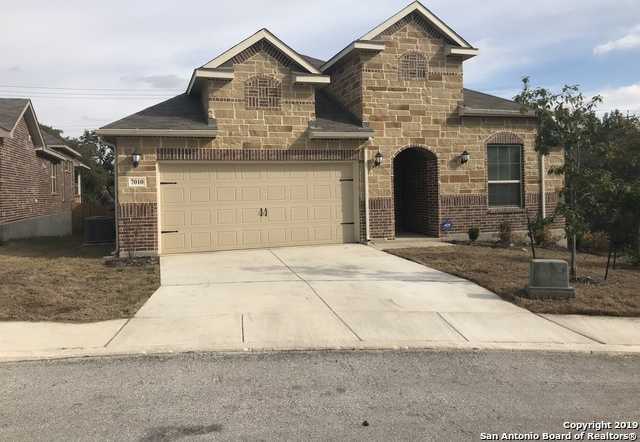 I would like to schedule a showing appointment for this property: MLS# 1357920 – $320,000 – 7010 Ravensdale, San Antonio, TX 78250.